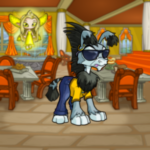 An inside look at some of Neopia's least favorites, along with a few of their cool traits that most Neopians don't notice. 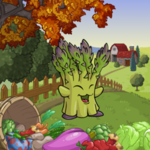 Tips and tricks to help you stay in the green! Making Your Choice: Team Villain or Team HERO! The top six reasons why you should in fact resist temptation, fancy Neocash outfits, and the Meepits' evil stares in order to follow the path of the Hero! Artifacts that will rouse your questing spirit, carry you onto adventure, and help you smite evil! 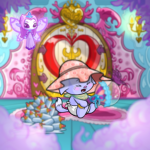 Every hero needs a sidekick and every Neopet needs a Petpet. They all have dedicated fan clubs, are prominently featured on stamps, coins, and wearables, and just exude confidence and sinister charm. 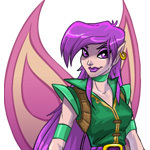 With all that going for them, why in Neopia would anyone pick the path of the Hero over that of the Villain? Well... fear not: below are the top six reasons why you should in fact resist temptation, fancy Neocash outfits, and the Meepits' evil stares in order to follow the path of the Hero! Rambling along the country lane that traversed his farm, Tsewil the Asparagus Chia shielded his eyes as he scanned the fields. "You'll be asked to do more now," he said after a pause. "Especially after demonstrating your talent like that. Some of it's dangerous." Uhh, the Marvellous Stretchy Chia?